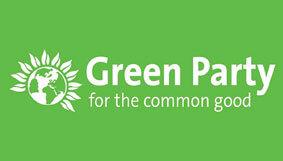 The Green Party of England and Wales is apparently having a leadership election at the moment, if anyone is interested. The party, which actually, genuinely has an MP these days, is doing all kinds of interesting things like hustings and debates about policy and all kinds of other stuff and thinks it would be super if people other than their mums would watch. Between eight and ten people have regularly turned out to listen to intense debates about the sorts of things the Green Party talk about, whatever they may be. According to recent reports, there have as yet been no ruthless defenestrations or back-office shankings between the candidates, which is no fun whatsoever. However, one candidate did use a fork on a piece of broccoli particularly vigorously the other day, which almost makes up for it. A spokesperson for the party admitted it was unfortunate timing that their leadership election was taking place simultaneously with the single greatest political cataclysm of our lifetimes, but insisted that surely there was room for, like, one measly minute on the Ten O’Clock News. They told us, “Come on. One minute. that’s all we’re asking. “Okay, thirty seconds, but it’s got to be Trevor MacDonald presenting.